PALM BAY, Florida - Hooters will open a new restaurant at 4 p.m. on Monday, December 18, 2017, in Palm Bay, Florida. To help celebrate, Hooters is giving away free wings for a year to the first 10 guests in line on opening day. The company said in a release that the Hooters of Palm Bay is the latest ground-up, new prototype building for Hooters, which features 7,372 square feet of space and is located at 695 Palm Bay Road. The new location features a 1,600 square-foot outdoor patio and offers guests front row seats to cheer on their favorite sports teams while enjoying Hooters original and smoked chicken wings. 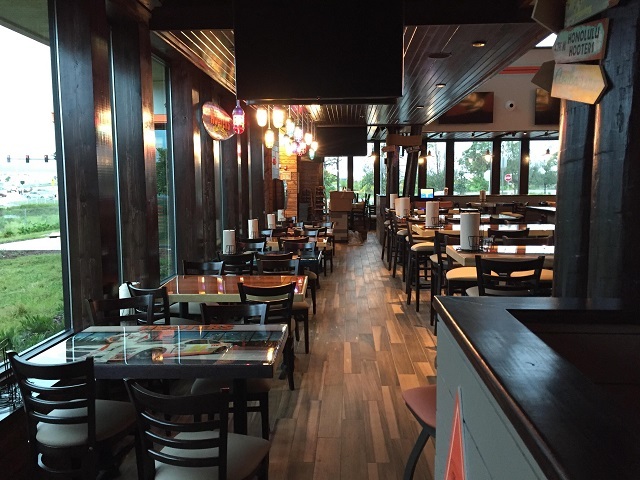 Hooters of Palm Bay incorporates the latest design features that deliver the familiar, fun-loving loving persona of the Hooters brand along with newly contemporized elements that combine to deliver a one-of-a-kind guest experience. From a centrally located bar featuring 32 draught beers and a wide array of cocktails and craft beers, to comfortable seating options, localized murals and table tops, and a top-of-the-line AV package perfect for watching all the games, the new Florida location has it all.